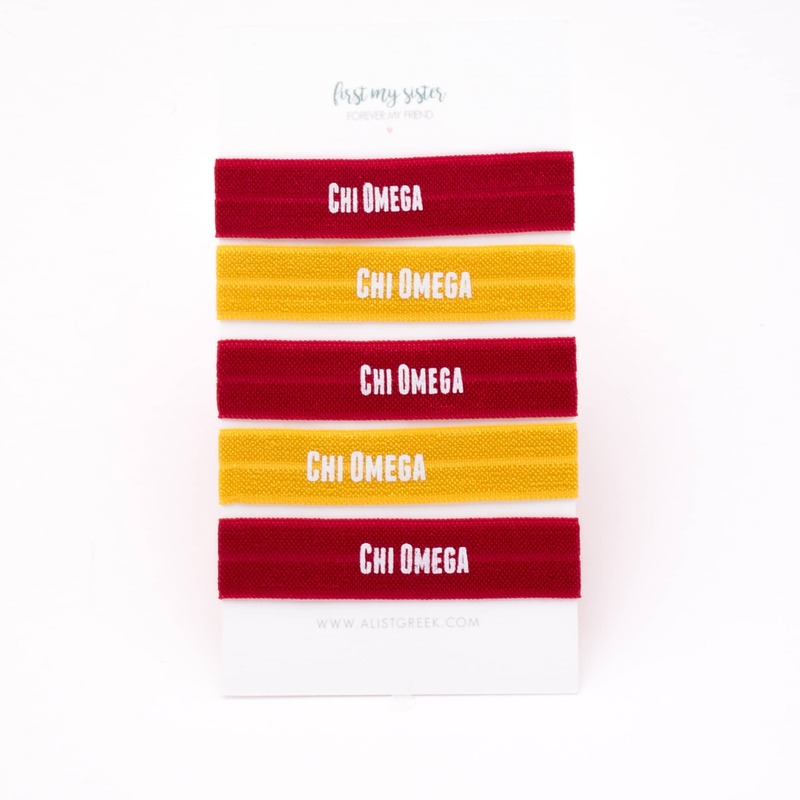 5 pack of Chi Omega elastic hair ties. Soft, stretchy elastic does not rip out or crease hair. 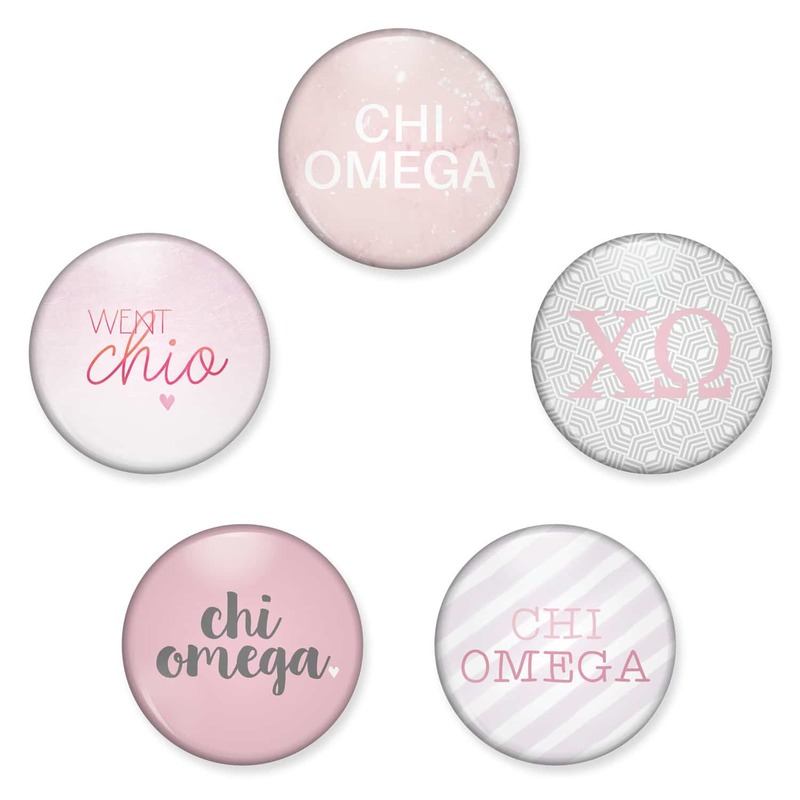 Collection of 5 trendy Chi Omega designs made from 1 3/4" round scratch resistant mylar shell. Available as pin back buttons or magnets for your fridge or office. 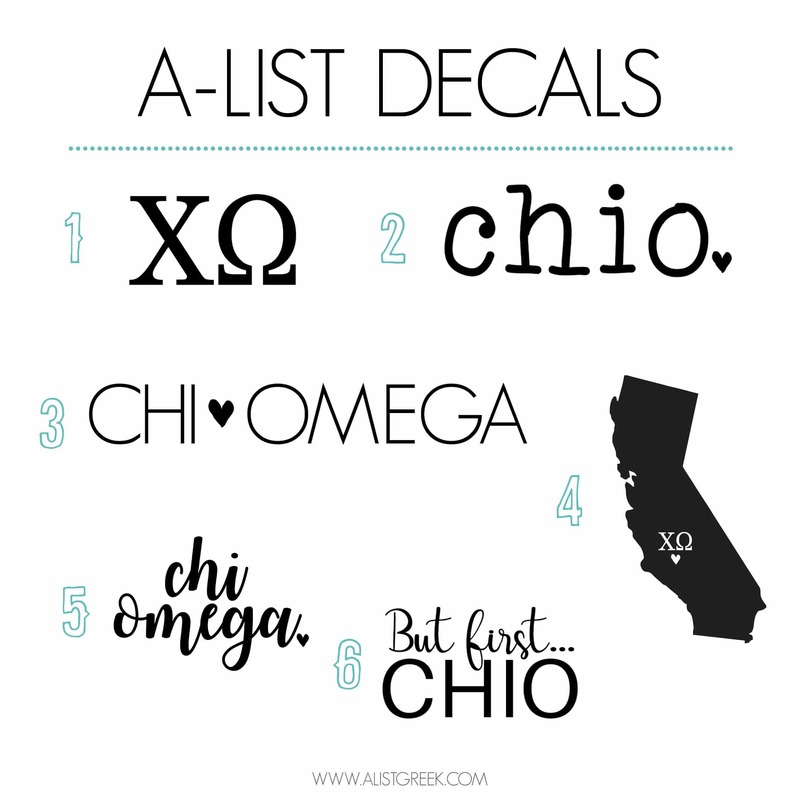 Pick from 13 colors & 6 Chi Omega designs. 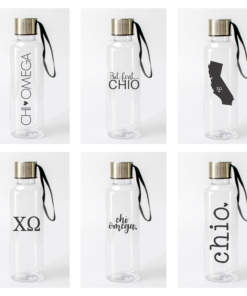 This bestselling sorority water bottle holds holds 17 oz. of liquid and features a screw on lid with strap. BPA Free, AS Plastic. High-quality embroidered ChiO design. 100% cotton twill, 6-panel, unstructured, low-profile, size: OS. Choose your hat color, thread color and design or select "Custom" and we'll work with you on your vision. 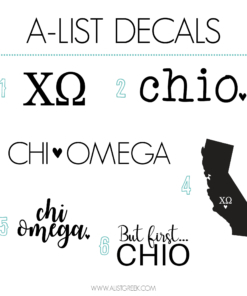 Pick from 13 colors & 6 Chi Omega designs. Decals size approx. 4 to 5 inches on longest side. Permanent vinyl that will last up to 7 years. 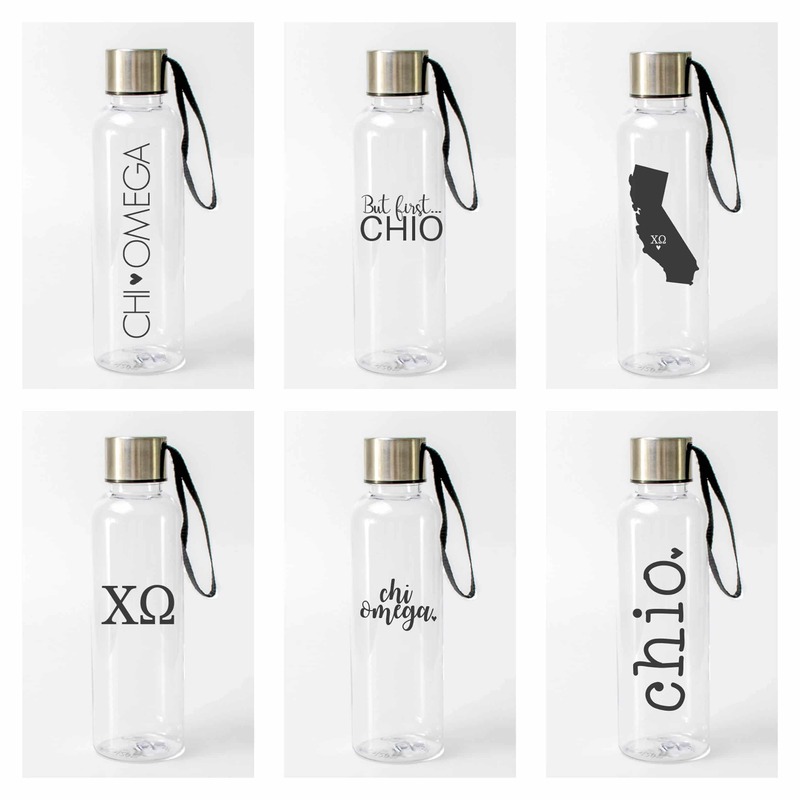 Display your Chi O pride on your laptop, binder, car, etc. 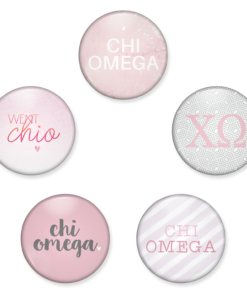 Pick from 13 colors & 3 Chi Omega design options. 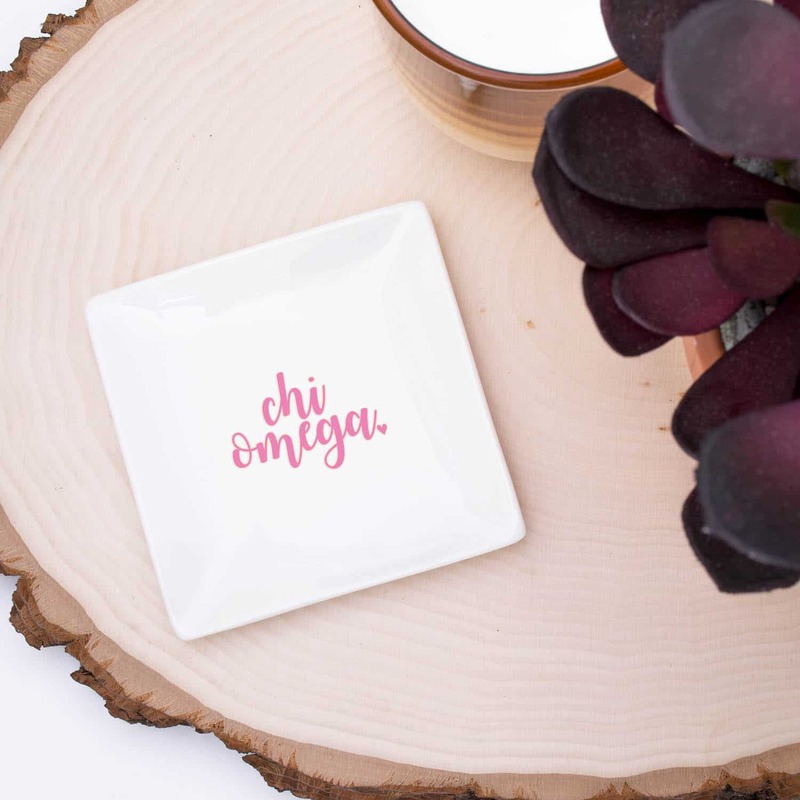 3 inch square ceramic jewelry dish that's perfect for your ChiO pin, loose change, jewelry, desk accessories, etc. 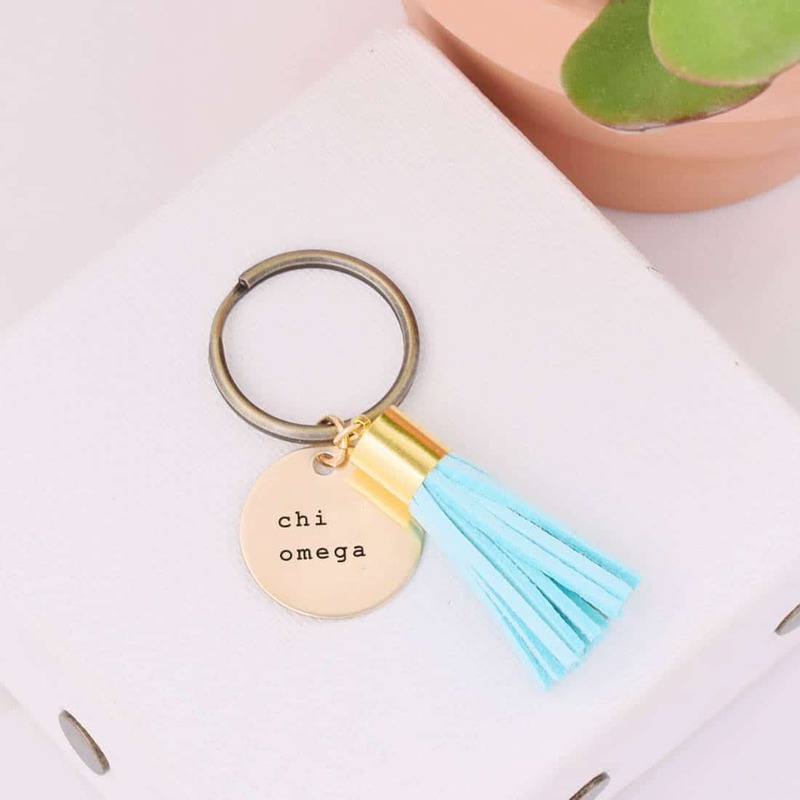 Our top selling Chi Omega gift of all time - this ChiO tassel key chain features a 1 inch round antiqued brass disc and key ring. Choose from 12 tassel colors. 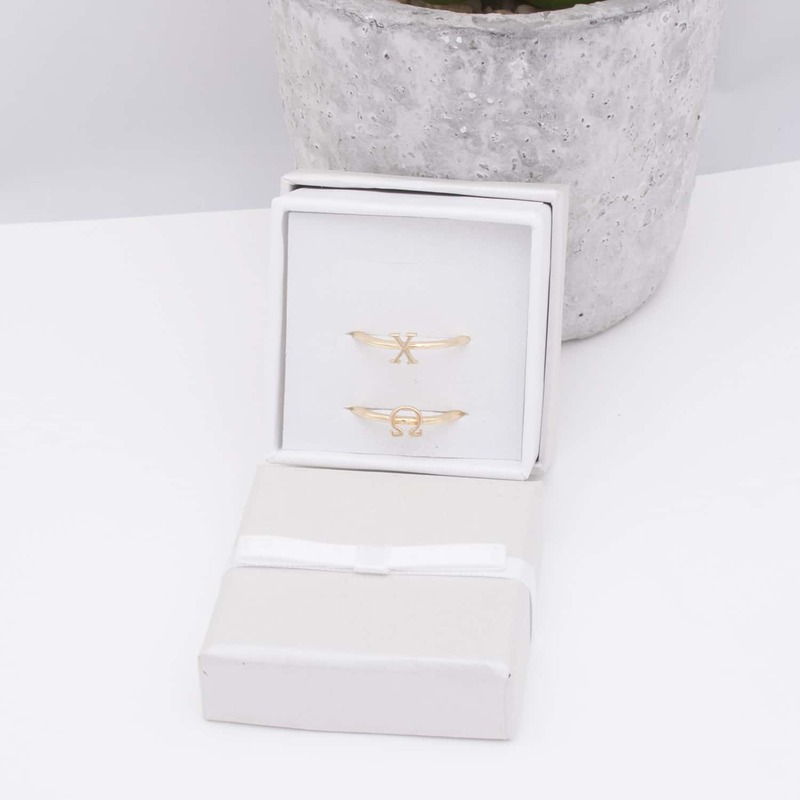 Gorgeous Chi Omega Greek letter stack rings. Adjustable ring band. 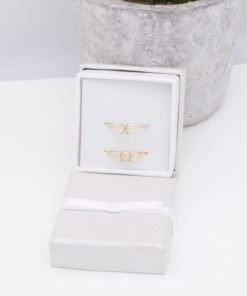 Packaged in ring box with bow. 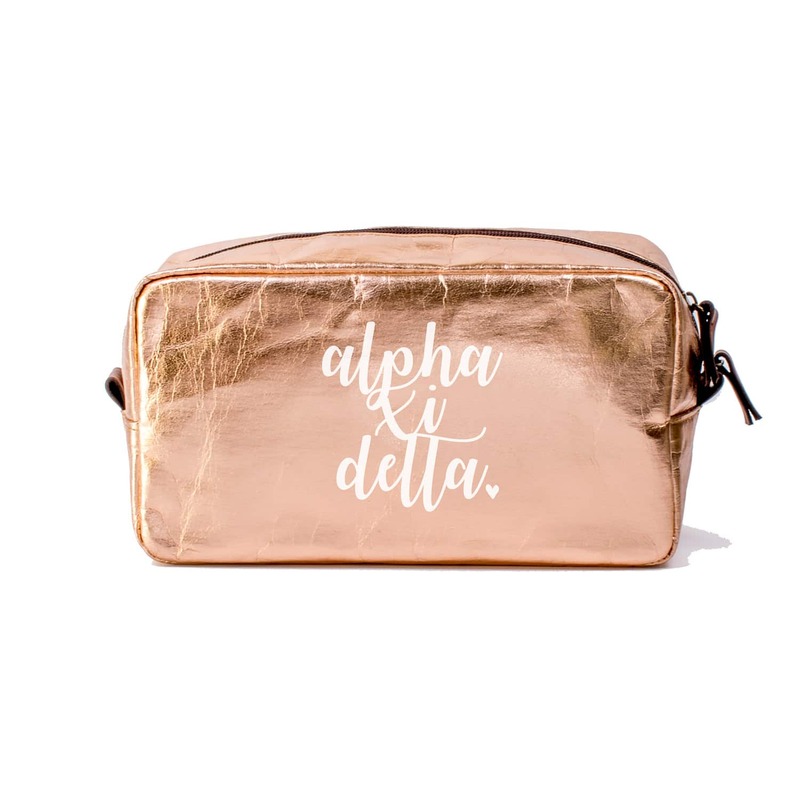 Make your new sisters feel loved by showering them with the cutest sorority merch this bid day. 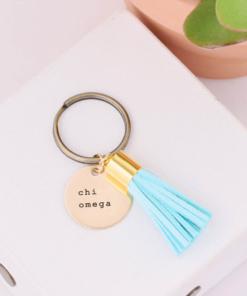 With this “build your own” style bid day bundle, now you can build your own Chi Omega bid day bag with trendy sorority gifts to fit any chapter budget. 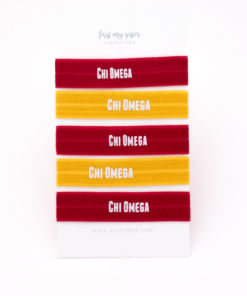 The base bid day pack features our bestselling ChiO hair ties and buttons. These items must be added to your bundle and then you can choose the optional items to add to your bundle from there! A minimum of 10 of each item must be purchased. 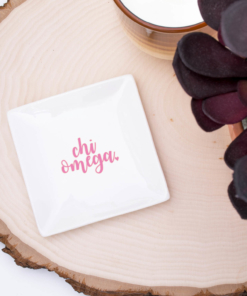 All bid day packages will be ready to gift in our sheer, white organza bags tied with a custom designed and cut “& So Your Chi Omega Adventure Begins”. 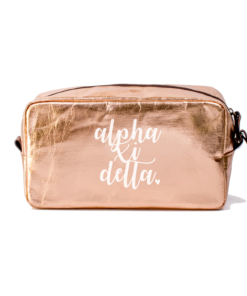 You won’t find a better assortment of bid day gifts at a better package price anywhere!